This is where the work begins for All The Anime, although I’m sure that there are many who would consider the challenge of starting up a new anime distributor, dealing with technical issues and delays, theatrical presentations and the first two home video releases, and getting the social awareness of the brand up and running, as work enough. But in some very essential ways, All The Anime, and Anime Limited have had an easy ride so far. Their most recent venture, a Kickstarter for the Mai Mai Miracle movie got funded in less than 24 hours of its launch. Their first two home video releases were the critically acclaimed Perfect Blue, and the fan favourite Cowboy Bebop, both making their English territory Blu-ray debuts through All The Anime, and with UK sales and exports, those titles practically flew off the shelves. This February, they will release something new, something that fans in the UK will most likely not have seen, and something that won’t have a pre-established fan following to ensure sales. And this time it’s Makoto Shinkai’s most recent work, a director who in recent years I’ve come to consider as anime’s M. Night Shyamalan, and on top of that, it’s a short film, a Blu-ray that runs to under an hour in length. This is going to be something of a harder sell. 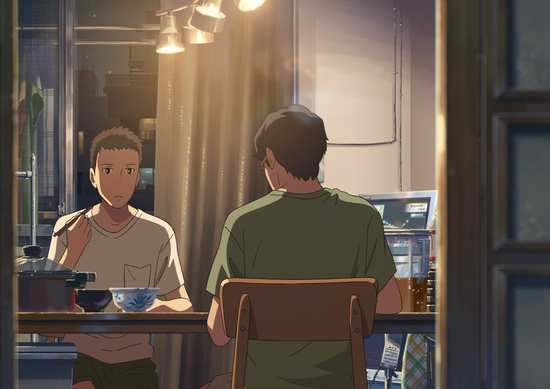 Takao is a high school student in Tokyo who is a little disillusioned with city living, feeling hemmed in by the conglomeration, discomfited by the crowds and desirous of a little solitude when the crush of humanity gets too much. It’s why on rainy days, he tends to ditch class and head for the park instead, where he can sit in the shelter of a gazebo as the rain falls. Not that he’s wasting his life away, as eschewing the academic path, he has plans for his life; to take up the career of a shoemaker. 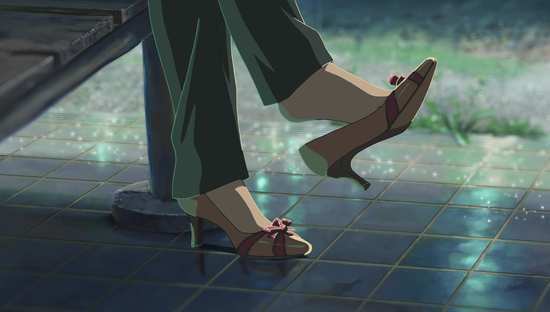 It turns out that he’s not the only one who seeks to escape the city when it rains, when one day he meets an older woman under the gazebo, an office worker named Yukino who’d much rather be in the park eating chocolate and drinking beer, than join the rat race behind a desk. Whenever it rains, the two end up together under the gazebo, and then as Tokyo enters the rainy season, they begin to get close. 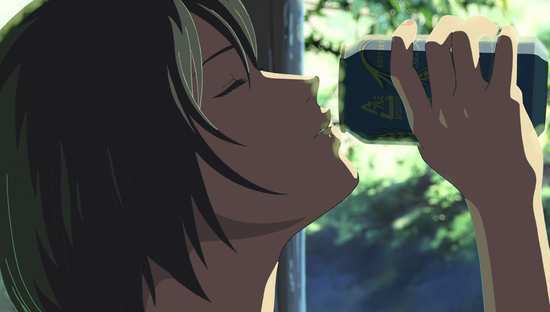 But while Takao shares his life and his dreams with Yukino, the older woman remains a mystery. The Blu-ray presentation brings all of this to life, with an impeccable 1.78:1 widescreen 1080p transfer. 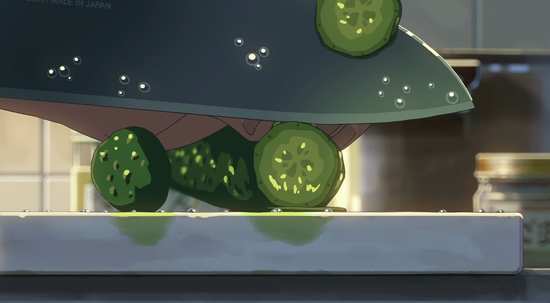 There was no compression that I could see, lines are detailed and clear, colours come across with their full impact, and the animation is presented flawlessly. The same is true when it comes to the disc’s audio. You have the choice between DTS-HD MA 5.1 Surround Japanese and English. This isn’t an excessively strident film, the detail is in the ambience and atmosphere, and the subtlety of the music soundtrack, but the surround is very effective in immersing the viewer in this world. The Japanese audio is the way to go here, as the cast is perfectly suited to their roles, and deliver evocative and moving performances. The subtitles for the Japanese audio are accurately timed and free of typographical error. I gave the dub a try, and coming from Sentai, I wasn’t expecting much given their recent production line efforts on TV anime, but they do make an effort with the dub here, and they cast some comparatively unfamiliar names in the lead roles. For me the dub didn’t have the subtlety and nuance that the film demanded though, and it didn’t take me long to pass on it. Incidentally, one problem did crop up here. There is no signs only track on this disc, and there are a fair few moments of plot specific on screen text that need translating, including the film’s title. Those signs are translated along with the dialogue in the subtitles for the Japanese audio, so you could conceivably skip back and flick them on, but it is inconvenient, and an unfortunate omission on an otherwise well-presented disc. 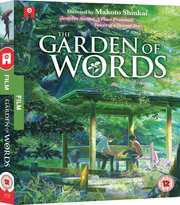 Garden of Words is presented on this Blu-ray with an animated menu, preceded by logos for All The Anime and Madman Entertainment. It looks as if this disc gets all of the extra features that are on the Sentai Filmworks Blu-ray release in the US, and just as all Sentai releases get these days, you’ll find a silent, white text on black, English language credit scroll after the main feature. There are two commentaries on this disc, accessible from the audio set-up menu. The first is the English language commentary, featuring Maggie Flecknoe (Yukino), and Patrick Poole (Takao), and at first it sounds as if the two are interviewed separately for the commentary, before they actually have a conversation together about the film. They finish early, and at 38 minutes, ADR Director Steven Foster steps in the booth to add a few comments. The Japanese Commentary is a lot more interesting, featuring director Makoto Shinkai, as interviewed by Risa Mizuno. It’s a nice, detailed commentary, a lot more scene specific, and the director talks about what he was trying to convey, and what certain scenes might mean. It’s packed full of interesting information, and well worth listening to. There are 52 minutes worth of Interviews on this disc with the Director and the Japanese voice cast as they talk about the film, and the process of making it. This is presented in 1080i resolution. The whole film is presented in storyboard form, in 1080p, and without the English credit scroll, running to 45 minutes. It’s an interesting addition, but it would have been nice to be able to compare it directly with the finished feature, either through multi-angle or PIP implementation. English Production Stills comprise a 5 minute slideshow featuring the English voice cast at work in the recording booth. 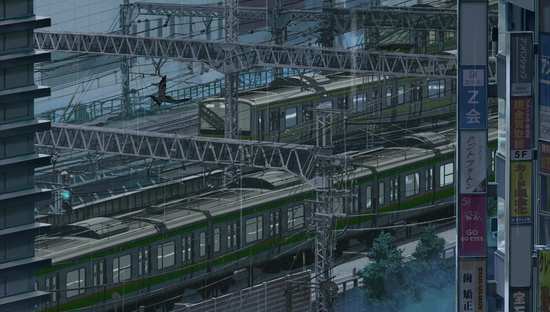 There are two Japanese trailers for The Garden of Words running to 2½ minutes in total. The Works of Makoto Shinkai essentially collect the rest of the trailers, comprising Voices of a Distant Star, The Place Promised in Our Early Days, 5 Centimetres Per Second, and Children Who Chase Lost Voices From Deep Below (Journey to Agartha) in a 9 minute showreel. The M. Night Shyamalan of anime! 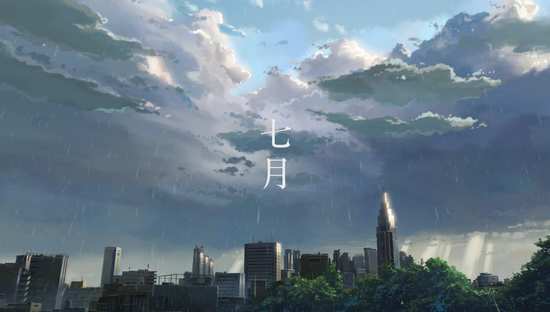 With a Makoto Shinkai work, you can be assured of two things; one, that you’ll get a visual experience to die for, a film so beautiful that it physically hurts, and two, that he’ll most likely explore themes of loss, usually unrequited love, separation, and melancholy for the road not taken. Sure enough, the Garden of Words once again plays with those themes. 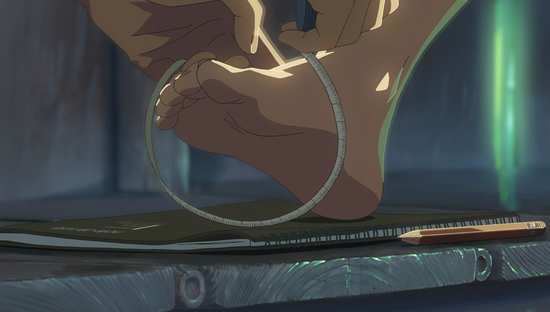 The difference between Makoto Shinkai and M. Night Shyamalan, is that Shinkai has mastered his particular area of expertise, and makes it look effortless, although you might be forgiven for thinking that if you see one of his films, you’ve seen them all. For me though, Garden of Words is the most accessible of his films so far, primarily because it’s set in the real world, and also because in this film, his characters are easier to relate to, the feelings that they experience, the journey that they go on is the most familiar. The story is about a relationship that can never be, the reason why being an almighty spoiler for a short film, so I’ll try and skip around that. From Takao’s point of view, it’s easy to see why he would become infatuated with Yukino, an older woman but still young enough in spirit to relate to. 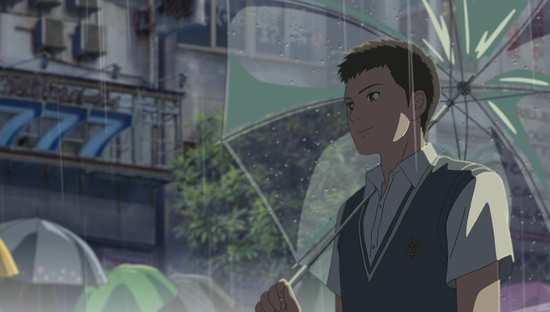 That he’s somewhat isolated from society, from his school, and seeks to extend that isolation in the park whenever it rains, makes it understandable that he’s drawn to someone who apparently seeks the same thing. He seeks the isolation to pursue his dreams of becoming a shoemaker, sketching designs in his notebook. She’s there, ostensibly to eat chocolate and drink beer, but when he shares his dream with her, she becomes something of a muse to him. His ambitions focus into making a pair of shoes worthy of her. The film could easily be a one-hander, told from Takao’s point of view, but it provides balance in telling Yukino’s story as well, which as I mentioned is a spoiler for the climax of the film. But she does have a reason to escape to the park beyond alcohol and chocolate addiction. Her life has hit something of a dead end, her dream job turned out to be a nightmare, her personal life a mess, and she’s trying to piece the fragments of what’s left of her dreams back together. For her, her relationship with Takao might just be the thing she needs in one way to validate her life choices, and in another way to just have a connection that is innocent and unsullied in her life. Of course the reason why becomes clear as the story unfolds. 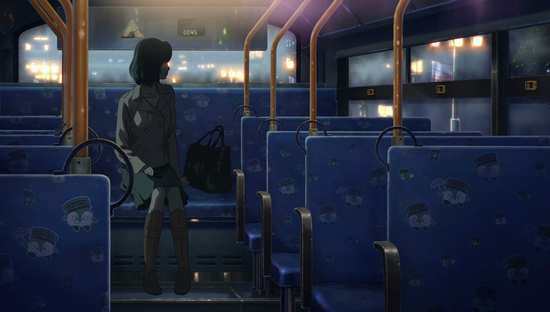 Shinkai’s previous work, Children Who Chase Lost Voices was in my eyes something of a well-intentioned misstep, getting too literal with the theme of loss, while playing on Ghibli’s turf, and winding up somewhat bloated and overlong to boot. I would love to see what Shinkai can do with completely different themes, but there is something to be said for sticking to what you know best. 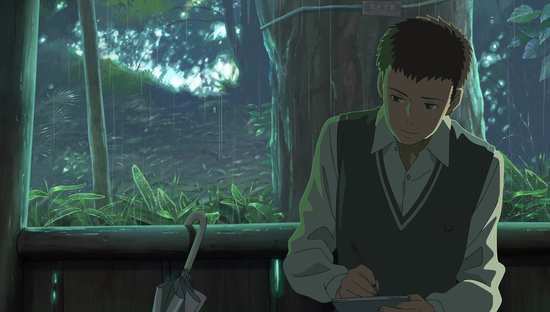 Garden of Words is his most accessible movie to date, as while it does once again explore those themes, it does so with a story that isn’t that implausible, and in a world that is his most realistic to date. 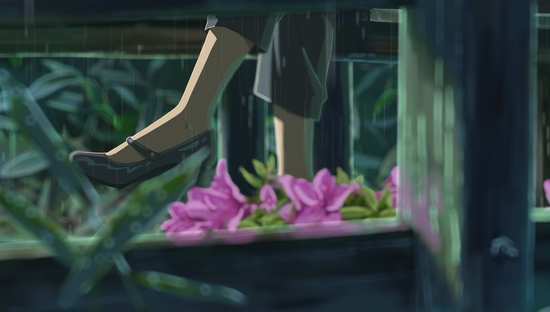 On a personal note, I’m glad to see one of his films end on a positive, hopeful note, which makes Garden of Words my second favourite Shinkai after The Place Promised in Our Early Days. The film’s runtime might be short, but the disc is packed with extra features, while the RRP for the Blu-ray reflects that shorter runtime. 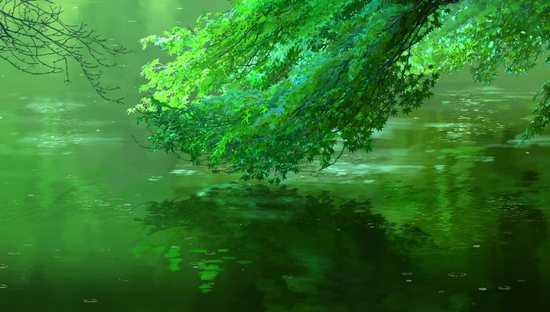 Contrary to my expectations Garden of Words sees Makoto Shinkai back on form, and this release ought to be just as fleet in flying of the shelves for All the Anime as were Cowboy Bebop and Perfect Blue.